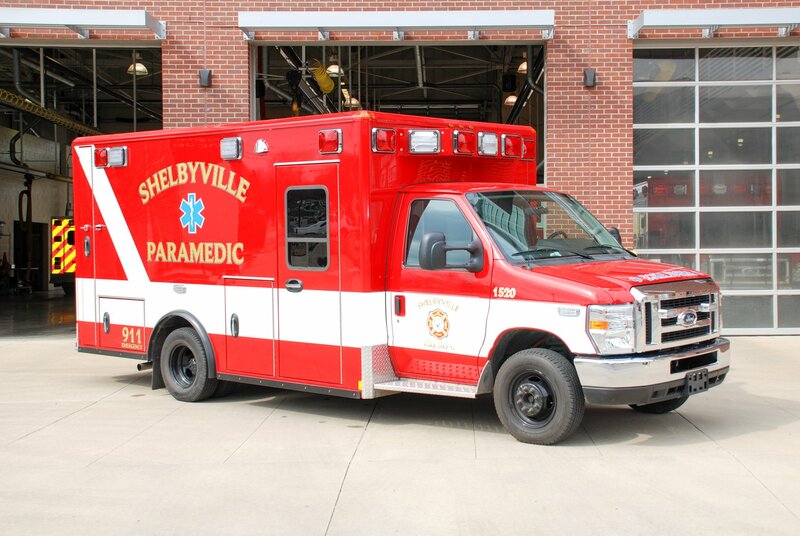 The Shelbyville Fire Department is proud to have begun operation of three new ambulances within their fleet. 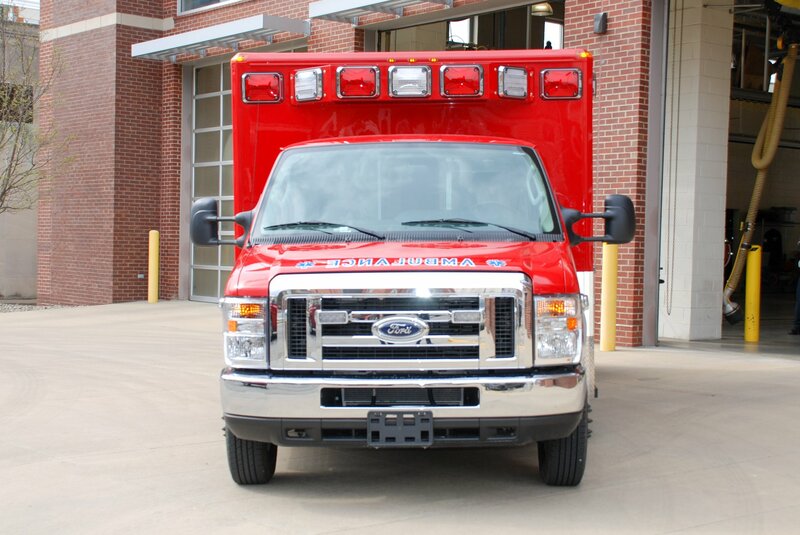 The new ambulances offer safer options for crew and patients, in addition, to cost savings. The three new ambulances were produced by Wheeled Coach, a part of REV Group, Inc., in Winter Park, Florida. Safer options for the patient include DuraLite cabinetry that allow quicker access to life saving medication, oxygen outlets more conducive to care, technology for transporting pediatric patient securely, and toggle switches in the patient compartment decreasing the risk of malfunction in electrical components. Crew safety is maximized with in-seat 4-point PER4MAX ® Controlled Decelerator seating, allowing crew member to provide care will remaining seat-belted. SafePass™ techonology on exit doors providing safety overrides in event of an accident. Crews are additionally protected with securement devices for portable medical equipment to prevent loose moving object within the vehicle. Seamless upholstery allows for the decreased risk associated with contaminants in the firehouse and while on scenes. Patient and crew safety is a top priority at Shelbyville Fire Department. Power loading Stryker EMS™ cot systems provide multiple safety functions with minimal increased cost. Patient safety is increased with the automatic lifting into the vehicles decreasing the risk of injury. Injuries are also preventing crews from back injuries related to patient lifting, which top the list of firefighter disabilities across the nation. Turn-around times are enhanced with the use of the lifts, as fire engines are not required to respond to the hospital to assist with the removal of obese patients from the ambulance. 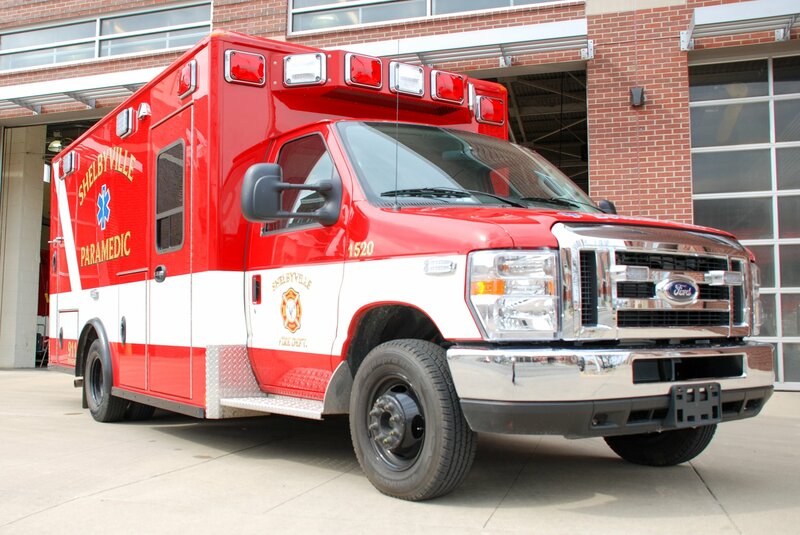 The exterior of the ambulance resembles to previous red and white paint scheme and blacked-out tire rims, allowing for easier care of the rims and prevention of loose parts, such as, caps on the vehicle. Corner capped lighting increases 360° high-visibility lighting, providing scene safety. DuraSeam Door Systems provided the exterior with a seamless look, while eliminating protruding handles and providing structural integrity and strength. GatorGrip surfaces, Yellow handicap handles, and easy to replace running boards assist with safety and functionality. Mechanical advantages to the vehicles include a gasoline engine for cost-saving measures while not compromising the response or integrity of the vehicle. Cost savings in the use of gasoline engines lower the cost of regular maintenance and parts. The vehicle includes a Ford Motor Company E450 Type III chassis with decreased technological luxuries within with cab allowing for easier operation and less times ambulances are out of service for electrical issues, and easier repair. 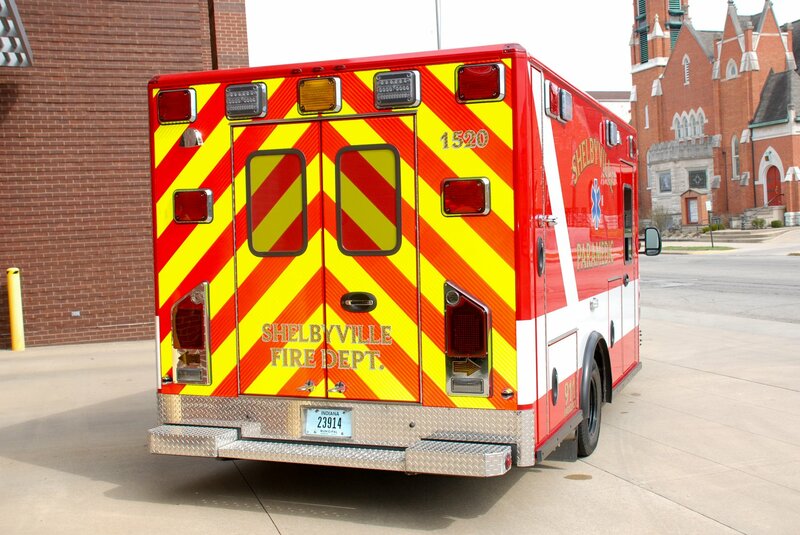 The Shelbyville Fire Department prides itself in providing the best possible critical care medical services to the citizens and visitors of Shelby County, while optimizing use of resources under a sound fiscal mind. The department is comprised of 63 highly trained, dedicated medical providers delivering progressive, rapid, and reliable services to the community. 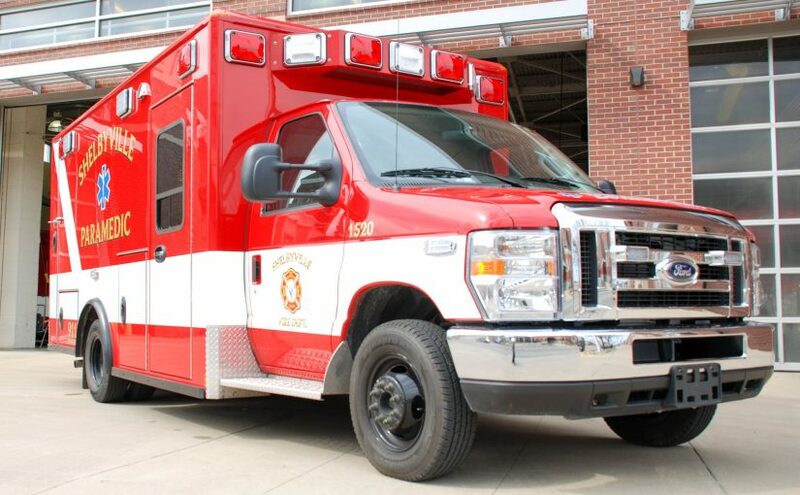 Two ambulances will be provided to the community during a 24 hours period by Shelbyville Fire Department, in additional to, a third paramedic crew staffed by Franciscan Health EMS Education during high call volume time periods as determined by use of System Status Management. In 2018, over 5,000 calls were completed by the Shelbyville Fire Department.